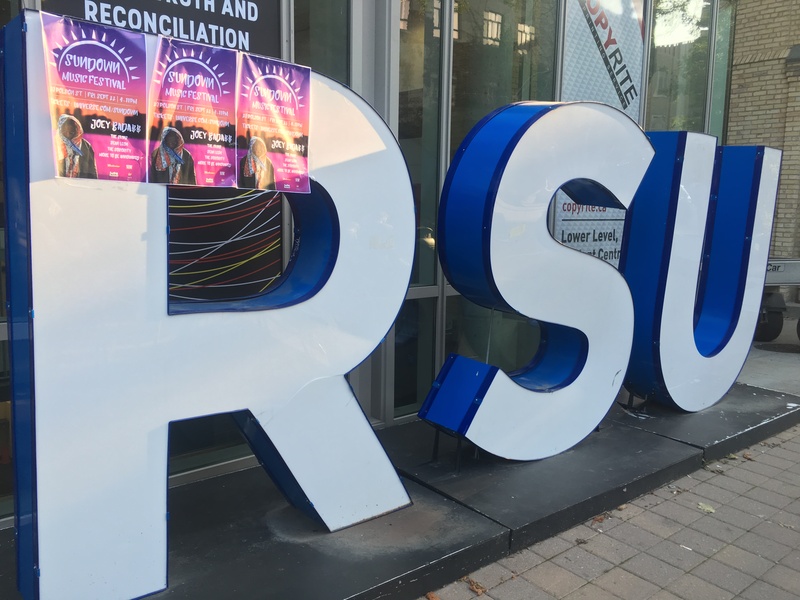 While the anger and upset over last year’s “6 Fest mess” still lingers around campus, the new Ryerson Students’ Union executive hopes to regain the trust of students with a new music-centered event happening this week. Sundown Music Festival was announced on the RSU’s social media earlier this month. The festival, scheduled for this Friday (Sept. 22), will feature performances by Miguel, Joey Bada$$, The Skins and more. In comparison to 6 Fest, where artists were spread across two days, Sundown’s lineup will be squeezed into a single evening, running from 4-11 p.m. While it is certainly distinct from 6 Fest, there are a number of similarities. For one, both 6 Fest and Sundown’s lineups share a heavy R&B and rap influence. Also, Sundown is being held in an open lot located at 20 Polson St. across from REBEL nightclub, which is just around the corner from last year’s location for 6 Fest. Additionally, Miguel, who was announced in the second round of the line-up, is no stranger to the RSU; he was scheduled to play on campus during Week of Welcome in September 2015. His appearance was cancelled without a formal explanation to students a few hours before the event started. That night marked Drake’s first surprise performance at Ryerson. In their weekly e-newsletter, the RSU executive shared a co-signed statement anticipating students’ concerns. In addition to musical performances, Sundown will feature a Roots pop-up store, custom T-shirt booths, on-site contests and sponsor activations. Erin Nancoo, a third-year business management student, is a big fan of Miguel and purchased tickets as soon as he was announced. Students were quick to react to news of the event on social media, with some even raising questions about yet-unfulfilled 6 Fest refunds. yes, because this is where students need their money going. One thing is for sure: the RSU has made it clear that they are ready to give this festival their all. Tickets for Sundown Music Festival, a 16+ event, are available online for $25. Stay tuned for RUtv News’ coverage!